Sentimentality be damned. This has been in my head for years and now at 68, and fifty-plus years, if memory serves, this is my recollection. Catholic high school girls didn’t cut classes in the ‘60’s, so I never made it to JFK or The Plaza, but the day you landed, I knew who you were. For a week before you arrived in New York, on that cold Friday in February 1964, Murray the K, a local DJ, had been playing your music and pre-recorded interviews incessantly. It drove my mom crazy but I loved you and your music. By the end of that week, America knew about you, your music, your families, your lives. We instantly became fascinated with the geography of England because you were Liverpuddlians ~ who knew where that was, when we only knew London? John was the “Sorry girls, he’s married.” one. He and Cynthia even had a son, Julian, and wow, suddenly I thought Julian was a fab name. Paul, the “cute,” one, wasn’t married and lived with his widowed father. My father had died six years earlier. John-John’s father had been murdered just a few months ago. George was the “quiet” one, and Louise, his married sister, was living here in the States. About Ringo, he of the “four rings,” we knew his real name was Richard, he was the newest member of the group, and we all agreed he just wasn’t as cute as the others. The rest of your story is what legends are made of: although you’d each been in different bands, you hadn’t been playing together very long, and through some quirk of fate, you coalesced into a winning combination, and now you were about to hit the big time – the Big Apple. For the next two days, New York City and the rest of the world saw and heard your every word, your every move, and very often you were “cheeky.” When asked what you called your long haircuts, (when boys were greasing-back their ducktails and girls were teasing and spraying their beehives), Ringo answered flippantly, “Arthur.” Cheeky, along with gear, fab, fav, jelly babies, Mersey, mods, and rockers were words we quickly incorporated into our vocabulary. We thought we were so gear and you were so fab ~ the Fab Four ! The Fabulous Four ! Everything you did that weekend, from sightseeing in Central Park to television dress rehearsals, was considered a major news event; seen and watched on every channel of the evening news and in the newspapers – even the esteemed New York Times acknowledged that you were news fit to print. 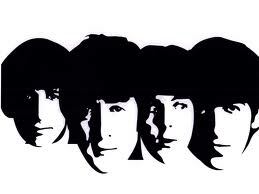 That Sunday night, February 9, 1964, (OMG over 50 years ago), more than 70 million Americans, and me, along with my three best friends, watched you on the Ed Sullivan Show on my living room TV. We bounced, squealed, kissed the screen at you and your mop-top haircuts, not on cute little boys like our John-John, but on clean cut young men in suits, whose jackets happen not to have collars. My mom watched too and although she pooh-poohed you, she didn’t think you were too bad, “not like that gyrating Elvis,” she pronounced. Besides, she’d been a screaming bobbysoxer, for “Frankie” at the Paramount Theatre twenty-five years earlier. Right before Mary, Judy, and Rosemary left to go home, while we were still bouncing off the walls, my Mom surprised us with tickets to the Carnegie Hall concert for later that week. She’d arranged it earlier with the other parents but there were rules; a cab company was taking us and then bringing us back home ~ very few people have cars in the Bronx. Since Rosemary and I were joined at the hip, cohorts in crime, all we had to do was stay out of trouble and not get detention for the next few days. We were dumbstruck with anticipation and joy, but my mom said that every teenager needed a “Frankie” and she believed you would be ours. We didn’t get detention and we all soon found out how right mom was. Carnegie Hall holds about 6,000 people and the horseshoe shaped interior didn’t look very big until we sat down. Our seats were right in front of you, in the back, on the floor, under the first tier, not stage right or left, but dead center at the apogee of the curve, directly in front of you – a full city-block away. It was a thrilling, exciting, and frightening experience simultaneously. February 12, 1964 was a very big moment for me and not by just be being there. You see, I’d been there a few Saturday’s morning’s the school-year before, forced to attend the Bernstein Young People’s Concerts with Leopold Stokowski, (I can’t believe I’m saying “forced,” but at the time, early Saturday mornings were not for compulsory school-bussed symphony appreciation classes). To be in Manhattan at night was a dream come true for a seventeen-year-old teenager. Manhattan nightlife in the ‘60’s was solely for the older, more sophisticated, cosmopolitan, legal-drinking-age-New Yorker, which we most definitely were not. We were from the Bronx ~ an hour, a bus, a subway, a lifestyle away, and we were certainly not sophisticated – getting out of the cab, we couldn’t pull that off no matter how hard we tried. This was a moment for a lifetime. That night we were delivered right to your doorstep and abandoned for hours. Do you realize where we could have gone, what we could have done? I didn’t – none of us did, we didn’t have a clue. At school, we were peter-pan-collared, picture perfect teen-agers. But here, now, on a night-lit Manhattan street we not only gained the respect of our parents, we moved up to a more popular lunch table! This was my Independence Day, my first baby step into adulthood and you were the catalyst. Your Carnegie Hall performance was my first rock n’ roll concert and probably your most sedate. You were only on stage for about a half-hour and although we tried to yell out in between songs, I don’t think we succeeded. I wanted to be one of those people sitting behind you on the stage and I wondered how much they paid for those seats. You sang the same songs you did on the Sullivan Show; “I Want To Hold Your Hand,” was your biggest hit but John’s, “Twist and Shout,” has always been my fav. I screamed later at Forest Hills in 1964. That night the stadium was packed to a capacity crowd of 16,000 fans, with you arriving by helicopter and landing right in the middle of that stadium in the heart of a neighborhood ~ I think, surrounded by attached brick townhouses. I can’t imagine what it was like for those residents to listen to you, and us, for an hour right outside their backdoors. It was another memorable event, and I know that our screaming, as always, drowned out your voices. We’d been fans for a year, so to see you live on the Ed Sullivan Show in 1965, was just another mountain we had to climb. Tickets for the show were always free but you had to send for them in advance and I had already received a “regrets” letter. But, what the hell, the four of us decided to chance it. We had to take a bus and a subway, walk for blocks, and wait outside the TV studio for hours for unused tickets to be doled out among a long, line of your ever-faithful fans. We finally made it in just a few minutes before show time, ushered upstairs along with all the rest of the chickadees, as Mr. Sullivan called us. Mr. Sullivan gave the peanut gallery a little lecture about “the screaming,” he said we simply could not do it. Period. No screaming. If we screamed during your performance one of those cute ushers who escorted us in, would be throwing us out! Ushers stood in the aisles, like soldiers on guard duty. This was live television, (or a live taping, I can’t remember which), and with any screaming, no one would be able to hear you at home. We didn’t object to this at all, why would we, why would anyone, we were in the same building and not a block away; for God’s sake – we were thrilled. Most of the songs you sang that night were from your second movie, “HELP.” When Paul debuted his “Yesterday” solo, I think the world began to realize you were making history. I think it was the day after that Sullivan Show, or close to it, when I was one of 56,000 fans at the first Shea Stadium concert in 1965. The overriding memory I have of this concert is not of you or your music, which was a given, but of the visceral vibration of the bleachers under my feet. Deep in my bones, my soul, I felt a shudder like the slow and steady ascent to the top of that first roller coaster incline, then suddenly we were in an unexpected rapid free fall to the bottom that just didn’t end ~ an experience I remember to this day. This time our seats were in a way-up-there tier, a little closer to the stage, albeit off to the side, but we could at least distinguish who was who and we had invested in binoculars. I couldn’t hear a word you said over the roar of the crowd that rumbled in my head for days. On the subway going home, we were yelling at each other, reading each other’s lips, deaf for days. My memory is crystal-clear on this ~ halfway into the concert a wave went through the audience: not the stand-up-sit-down variety you see at a football game on TV today, this was an undulation of fear. The excitement and pulse of the crowd screaming your names and lyrics, the not-so-subtle “give” of the structure, made it seem as though the stadium was quaking beneath us. I clearly remember seeing faces turn, seeking and finding each other, eyes wide in awe, knowing as we sang along, screamed, stomped, clapped and screamed again, everyone was feeling that same throbbing sensation: the second by second terror of what we believed would be the collapse of the stadium held us enthralled and incredibly ecstatic. Now I can think orgasmic, but back then ~ clueless. Somehow the stadium held together and that night we gave life to the phrase “rocked the place.” I’ve never forgotten it; I don’t want to; I’ll always be grateful and I thank you for that ~ it’s one of the best memories of my life. Except for some fans breaking through barriers but never getting near the stage, I really don’t remember the ’66 Shea Stadium concert. I guess it just wasn’t as monumental as the others. I didn’t burn anything when John made the remark about you being more popular than God. I knew what he meant. In parochial school they always had to threaten us to get us to go to church – no one ever forced me to go see you. And whoever heard of going to India on vacation, but when you returned with scraggy beards, new religions, and a sitar on your back, I just bought that music too. Whether or not you were high in the air or high on anything else, it didn’t make a difference ~ your music was what we wanted and we bought it all anyway. I did buy every book and poster about you. Most of them twice, so I’d have extra to cut up and tape to the walls and ceiling of my bedroom, or to your glue itsy-bitsy faces onto my nails. I bought every album and saw every movie you made a million times – a ba-zillion times. To look like Cynthia, Jane, Pattie, and Maureen, I even straightened, or least tried to, my very curly hair. I stopped buying back 1980, after I got a late night call from a NYC friend. I didn’t let the phone ring twice because like any late night call, around 11pm, I thought this was bringing bad news and rushed to pick it up. Leah hurriedly started talking about John being dead, shot outside The Dakota. I didn’t say anything, I couldn’t, I could hardly breathe, and it was indeed very bad news. Leah said it was horrible, four or five bullet wounds, but thank God, probably no pain. She rushed through the call, knowing I’d want to know and not hear it on TV first, and she was calling from the hospital. She was on duty and said everyone in the emergency room was dazed, in shock. She said she was sorry, she knew how much I loved you all and how I always hoped for a reunion tour. It was a frantic call for both of us. I sat stunned and sobbing. Gees, no pain? Funny, I felt pain – a deep searing, wrenching pain. A pain that made me fear I might not catch my next breath, made me conscious that a significant event had occurred in my life. The pull of gravity increased, I felt leaden, exhausted, and I instantly realized I was much older than I had been hours before when I made dinner for my family and put my five-year old son to bed. A familiar pain ~ of another murder. Like JFK’s assignation, just months before you arrived in NYC years ago, Americans were ready for you – you were an unconscious suspension, the perfect distraction during a bleak and mournful winter to take our minds off the assassination of President Kennedy just months earlier. I was 16 when I watched Walter Cronkite take off his glasses and announce to the world that JFK had died. Two days later eating dinner in the living room while watching the extended news coverage, the accused killer of President Kennedy was shot right before my eyes on live television. What followed was weeks and months of somber TV, newspaper, and magazine coverage reliving and detailing some of the darkest days of my generation with unfathomable sadness. Then there was you, arriving a few months later giving us something new, different, and almost joyous to watch. You took up so much time on TV and so much space in the papers seemingly having fun, and along with the criticism ~ what the English called cheeky, suddenly all the news wasn’t gray. Saying it was wonderful was a gross understatement of your impact on us. Which is why we screamed: I truly believe it was a primal scream trying to extinguish those previous months of mourning. We were criticized and chastised for “drowning you out.” I think we were yelling our thanks. Thank goodness we could finally scream at the top of our lungs, while weeks before we watched reverently as a young child saluted father passing by in a coffin. How could we not scream ? I’ve always wanted to say thank you ~ thanks for the memories. Thank you. As far as I know, the (1)image is in the public domain and I mean no misconduct. Copyright holder, please contact me, and I will remove it or credit you..
Was there any sense that The Beatles were unhappy during this gig? I mean, did they expect anybody to be able to hear them? I have the same amplifiers that they used in a cupboard in my bedroom, and they are just about adequate for busking in Manchester. Well, it was all a long time ago … and you were there! Great memories. Thanks very much for your comment and support, Black Dog, and the article. The article was very good – I think because it was very personal. I never saw The Beatles looking anything but HAPPY! They always looked like they were enjoying themselves and the fans. It seemed to me as though they were enjoying/digging us, enjoying/appreciating them. They may have been making fun at it sometimes but with all the hoopla, who wouldn’t be confounded by it. Dust off those amp’s, play Lennon’s Twist & Shout to the max, sit back, relax, and feel the vibe! I always liked their version of Money. yeah – I forgot about Money . I think John Lennon said they were bigger than Jesus. This of course sent the American bible bashers nuts. These people seem to enjoy bonfires. I found this looking for people who had personally seen the Beatles at the Ed Sullivan show. I know yours was the second, but that’s still amazing! Really great and riveting– I read the whole thing, and I’m glad you shared it. I wish more people who were in those audiences wrote about the experience.